Happy New Year from these newborn twins! 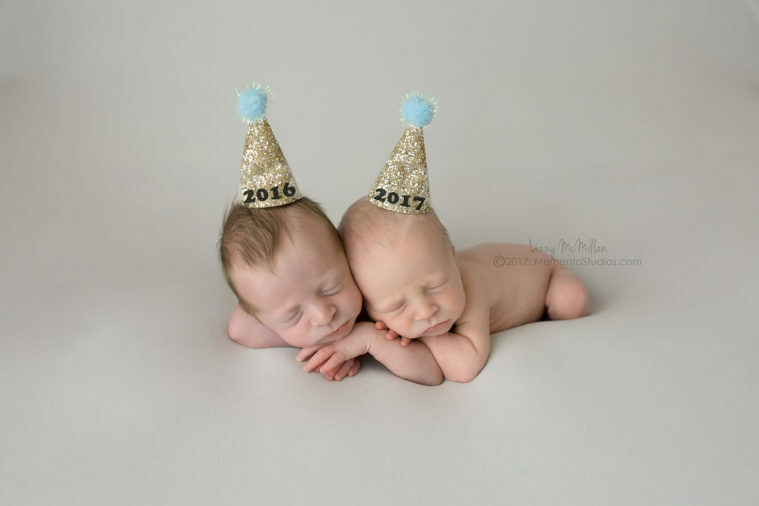 Happy New Year from Momento Studios, and these sweet newborn twins! A New Year brings many things: goals, resolutions for self-improvement, the promise of a fresh start, and of course more babies! 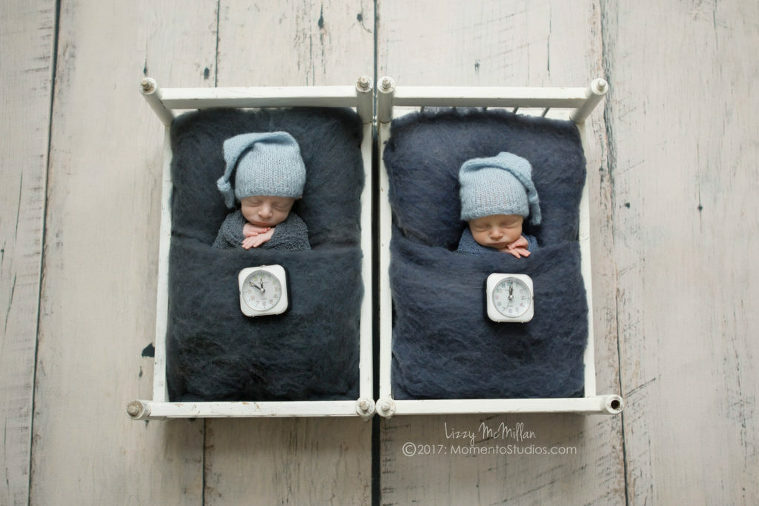 Lizzy had the honor of photographing these sweet twin brothers last year- and they have such a fun story: One brother was born just before midnight (2016) and the other was born just after midnight (2017). So, although the brothers were technically born only 10 minutes apart, they have different birthdays, AND different birth years! These adorable mini-party hats are from Little Blue Olive and were absolutely perfect for this newborn twins photo session. These twin brothers traveled over an hour from Peoria, Arizona for their newborn photo session in our Downtown Mesa, Arizona photography studio. Lizzy, aka The Multiples Whisperer™ had a wonderful time capturing these twins. It’s hard to believe these twin brothers just celebrated their first birthdays! We’ve been busy behind the scenes, updating our Mesa, Arizona newborn studio, and perfecting the details of our client experience. We can’t wait to share the progress (and photos) with you soon! 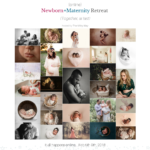 Official Speaker at Belly Baby Beyond!